My tasks are not being updated! Where can I configure which comments should appear as tasks? Where can I see the available tasks? 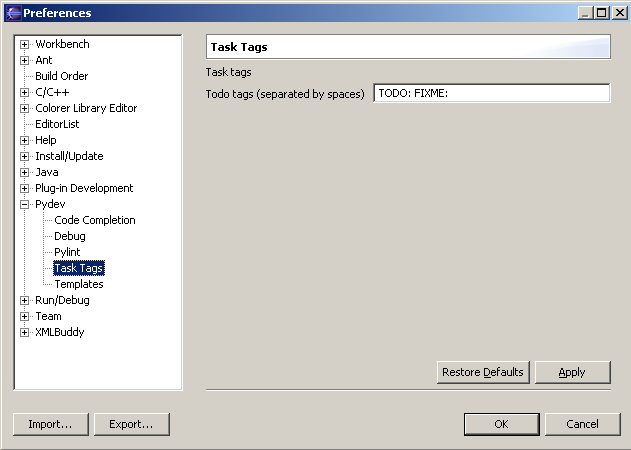 The tasks should appear in the tasks view, so, you can check it. 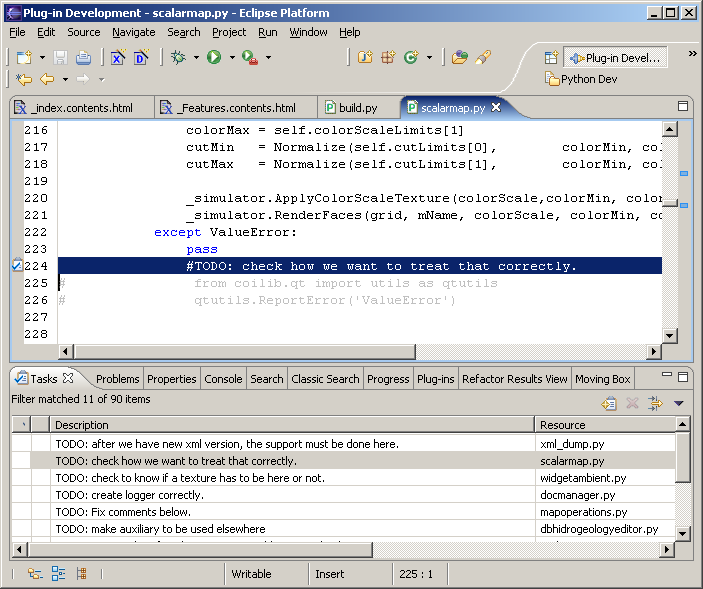 My project is correctly configured, why are my tasks still not appearing? 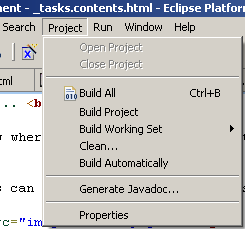 The tasks are based on the builder, so, if you don't use the autobuild, you have to make the manual build (Ctrl+B) once in a while to get the tasks updated (in fact, the auto-build affects lots of things, such as code-completion, code analysis, etc, so, it's reccommended that Build Automatically is kept turned on).